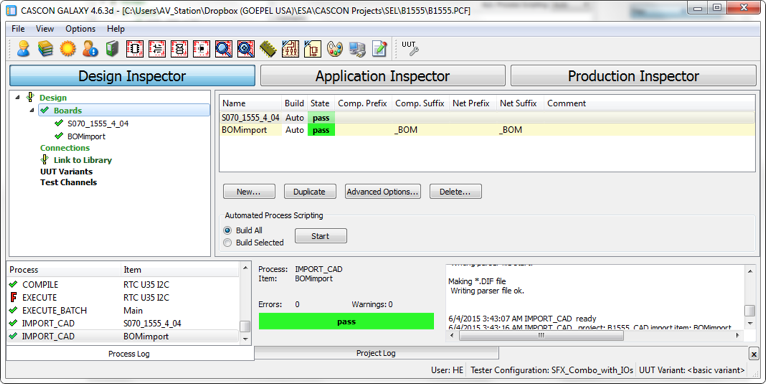 Bill-of-material (BOM) information can be imported into CASCON in order to automatically create a Mounted Device List (MDV) file. This PERL script can be used as a starting point. You can modify the PERL scrip itself to work directly with your BOM format, or you can modify the BOM file to match the format expected by the PERL script. In order to process the BOM and generate a MDV file outside the CASCON software, you would simply run the PERL script from the Windows command line and then select the created MDV file for in CASCON. 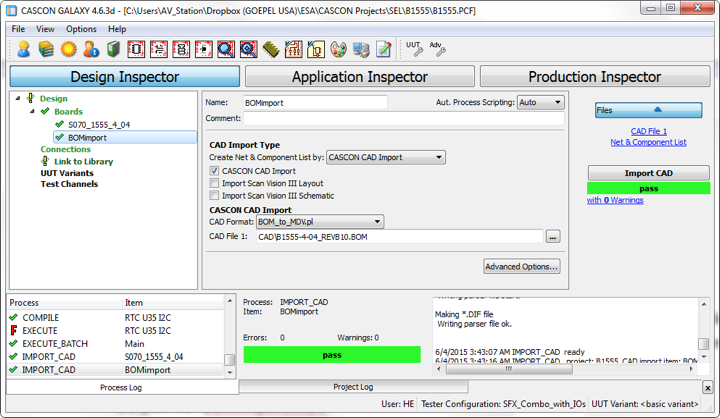 In CASCON, create a second "CAD Import" step in the "Boards" category (named BOMimport in this example). 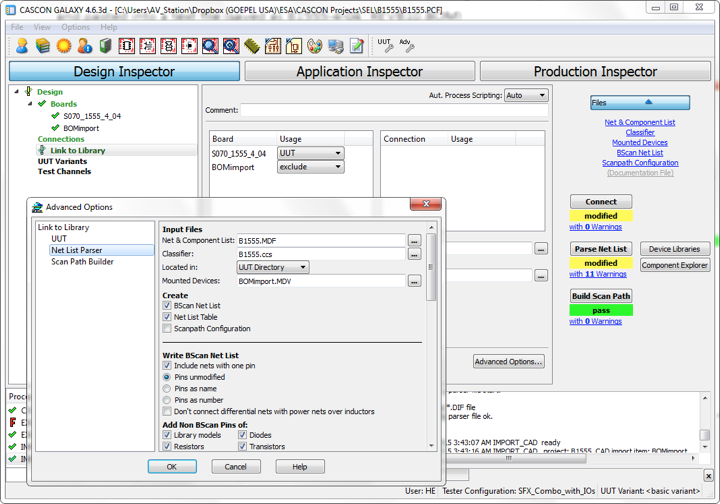 Select "CASCON CAD Import" for 'Create Net & Component List by:', and select "BOM_to_MDV.pl" as 'CAD Import'. Select the BOM file as 'CAD File 1'. The BOM file should be formatted as comma separated values (CSV) file (although the file extension does not matter). Before running the Parsing process, set usage for the actual UUT board as “UUT” and for BOMimport as “exclude” (see screenshot above). Then click ‘Connect’ and then ‘Parse Net List’ (before doing that, make sure the MDV file is selected; the respective hyperlink in the Files list [top right of the window] should be blue and should take you to the MDV file).